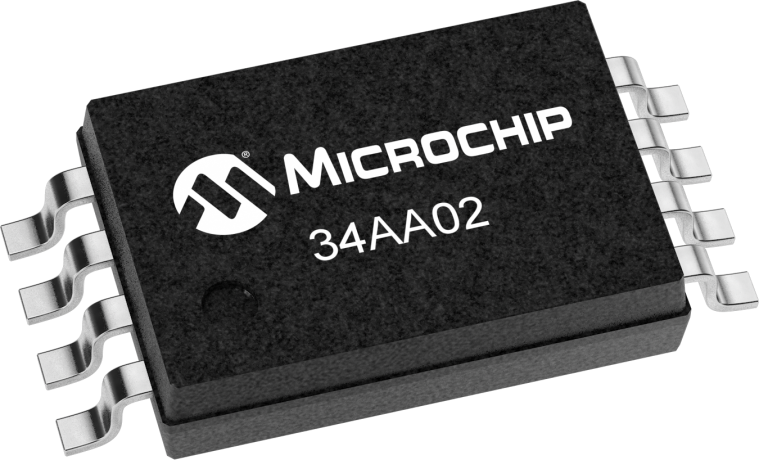 The Microchip Technology Inc. 34VL02/34AA02/ 34LC02 (34XX02*) is a 2 Kbit Electrically Erasable PROM capable of operation across a broad voltage range (1.5V to 5.5V). This device has two software write-protect features for the lower half of the array, as well as an external pin that can be used to write-protect the entire array. The device is organized as one block of 256 x 8-bit memory with a 2-wire serial interface. Low voltage design permits operation down to 1.5V, with standby and active currents of only 100 nA and 1 mA, respectively. The 34XX02 also has a page write capability for up to 16 bytes of data. The 34XX02 is available in the standard 8-pin PDIP, surface mount SOIC, TSSOP, MSOP and DFN packages.